The J60 is an extremely versatile yet simple to operate boring machine designed to provide precision boring and/or machining at ends of panels or boards. 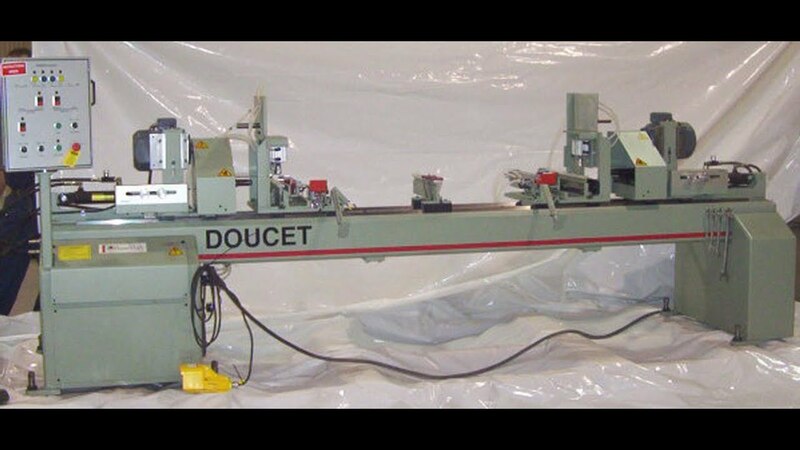 This machine is equipped with two heads moving back and forth hydraulically (4" stroke). It can produce a great variety of patterns with unmatched speed and accuracy. The position of each head as well as the stroke and feed speed are easily adjusted. The J60 is available in 4, 6, 8 and 10 feet widths.